National Youth Leadership Training (NYLT) is an exciting, action-packed six-day council-level program designed to provide Scouts in troops, crews and ships who are 13 years and older with leadership skills and experience they can use in their home units and in other situations demanding leadership of self and others. The first step in the BSA Youth Leadership Training continuum is conducted in the home unit. Scouts who have 1) completed this training and 2) reached the age of thirteen but are not yet eighteen, (for Venturers not yet twenty-one) may participate in the next step by accepting the challenge of the council level National Youth Leadership Training (NYLT). Unit leaders have the primary responsibility for training their youth leaders. The purpose of National Youth Leadership Training is not to assume that role, but rather support it. The NYLT week is filled with activities, presentations, challenges, discussions, and camping in a team and model unit environment. Participants learn and practice skills that are valuable at home, church, school, work and the Scouting unit. The course is designed for youth members 14 years of age. 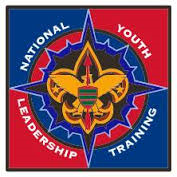 However, at a unit leader's discretion, they may approve a Scout at 13 years of age to attend NYLT. Since a Scout only takes this course once, we want them to get the maximum benefit from this experience; therefore, it is essential that they be able to handle the demands of this advanced course, which requires maturity, experience, and proficiency in basic camping skills.